Liza has an extensive history of working tirelessly and passionately on behalf of her clients. Known for her enthusiasm and attention to detail, she delivers a personal and professional experience to her clients. As a prior litigation attorney, Liza knows the value in smart, tactical negotiations, and how balancing top-notch advocacy for her clients with productive professionalism can make sure each transaction moves smoothly and efficiently. After being recruited to run the real estate department for the Chicago Board of Education, Liza managed a 60 million square foot portfolio, including the sale of surplus assets for redevelopment. 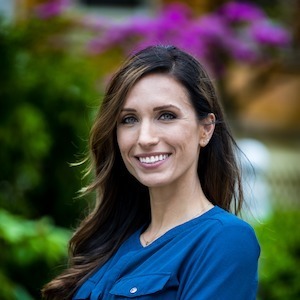 After becoming a property investor herself, Liza realized her appetite for all things residential real estate: the hunt for the right property, the strategizing on negotiations, and the new chapter experience that comes with closing the deal. Shortly after becoming a licensed broker, Liza met Julie Busby of Busby Realty Group and found her match in their client-focused, integrity-driven styles. Liza considers herself an ambassador for Chicago. A go-to for professionals relocating to the city, she is a resource about everything the city has to offer and loves match-making her clients with the perfect neighborhoods. She is also very involved with Neighborhood Parent Network in Chicago, which, combined with her knowledge of the Chicago school system and her network of developers, means that she can provide her clients with a unique perspective on the city’s real estate market. Liza appreciates how each client’s personal lifestyle deeply impacts their buying and selling needs, and she thrives on making that connection to truly understand what they need. Outside of real estate, Liza loves doing anything with her family (including practicing her high-level negotiating skills with her daughter), is proud to say she never grew out of the I-love-ponies stage of her life (and continues to be an avid equestrian), and is slightly addicted to exercise (clients who dare have been known to take up her offer of a 6am Soul Cycle class before a coffee meeting). She maintains her Illinois attorneys license and is a member of both the Illinois Bar Association and the Chicago Association of Realtors.